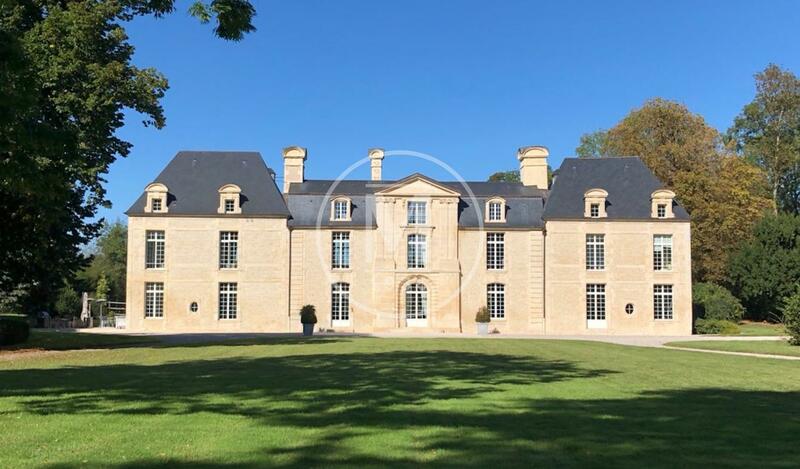 FOR SALE, between Caen and the sea, property of the XVIIIth century entirely restored, surrounded by a park of 5 hectares An exceptional living environment near the sea and the city. Renovated with quality materials, the property has all the modern comforts, while retaining the charm of the old. It is along a tree path along a park of 5 hectares that we gradually discover the harmonious silhouette of a castle on a human scale. A former dovecote and moats partially restored recall the grandeur of the place. The main house, with a living area of 900 m2, develops on 3 levels. It includes 14 bright rooms, including 5 bedrooms. A recent outbuilding that blends perfectly with the environment has a guest apartment (130 m2), 3 garages, a tack room and a laundry room. A semi-detached building houses 5 horse boxes and storage space. A quarry and paddocks closed with smooth shelters allow the practice of riding. An awning that can hold 5 cars completes the equipment. 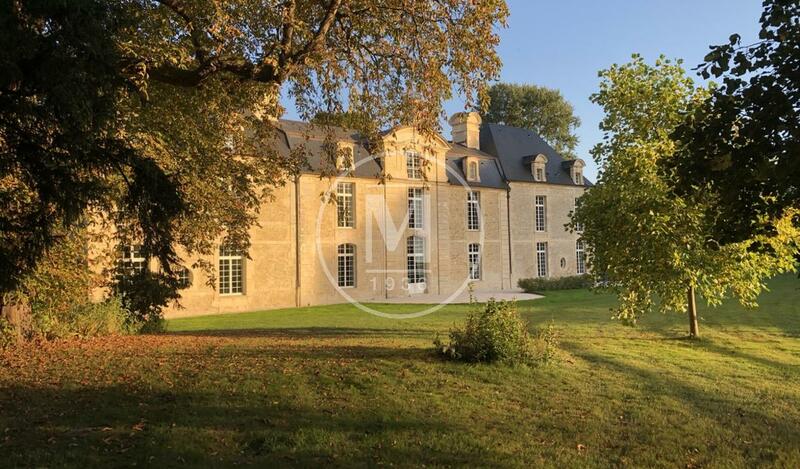 Location: Located 2h15 from Paris (by train or car), 5 minutes from shops and 10 minutes from the beach. Caen airport is Œ hour and Deauville airport 1 hour. The Britany Ferry is 15 minutes away.